1.) TO ORDER: USE THE PAYPAL DONATE BUTTON BELOW. Any Amount over $2.00 is considered the Donation. Orders placed before 5pm will be mailed out the NEXT business day (M-F). Raffle has been extended. The drawing will be on JUNE 23rd, @ 5pm. Winners will be notified by their selected means of communication. If prizes can be mailed, they will be sent the following Monday. The TULSA SHOCK ticket winners will be given their prize in person. "Boots, Badges, & Bats: Tulsa Police v Tulsa Fire Softball game & Picnic"
We are volunteering for City of Tulsa Animal Welfare for this event that is being held at Patrick Park, Saturday, June 16th. TAW was invited to bring animals out to be adopted. We were given permission to do fundraising on their behalf. We have invited various different businesses to participate in our raffle. We are pleased to say that the list (thus far) includes: Marina Animal Clinic, WNBA Tulsa Shock, Volume.Salon, Capturing Essence and Papa John's Pizza. Thank you, and hope to see you out there! If purchased locally, and with cash/check/money order, original prices remain. Keep in mind, the increase is only to cover the shipping cost, only. NOTE: Tshirts are made to order, so please allow a week. If there is circumstances that will prevent me from filling the order in this time frame, I will notify you by EMAIL. 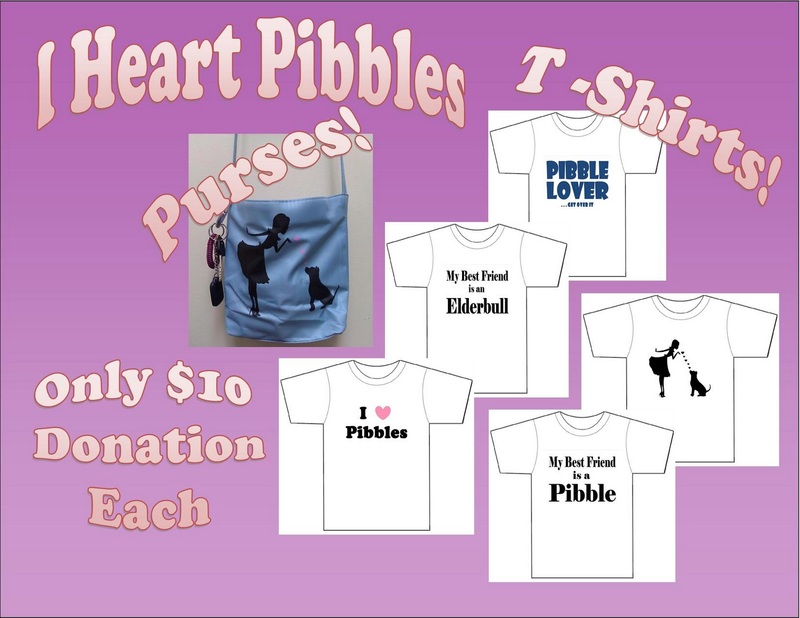 So, please add iheartpibbles@yahoo.com to your contacts. We have a new addition to our collection: Our mascot, Paige, as a cartoon. The original artwork was donated by Stephen C. King, a long-time friend of ours. Make sure to click the Message to Seller. 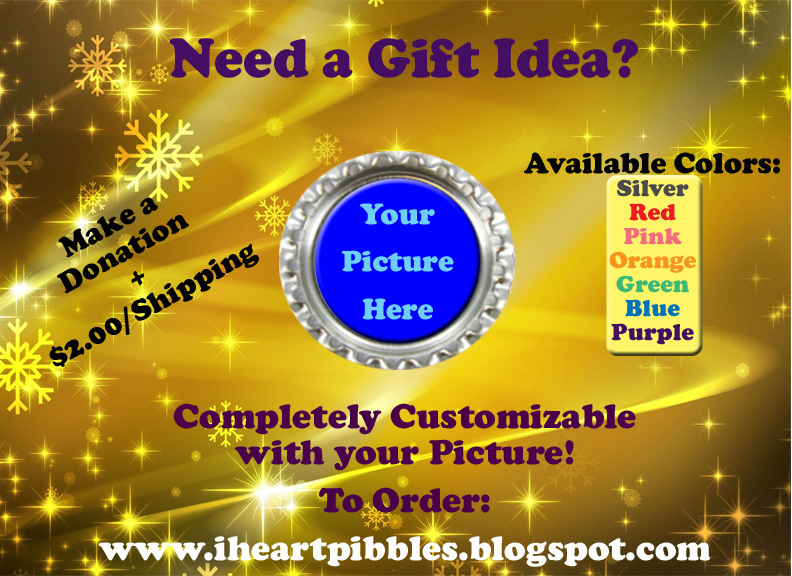 In that message box, include the SIZE, TShirt COLOR, (optional) Customization**. 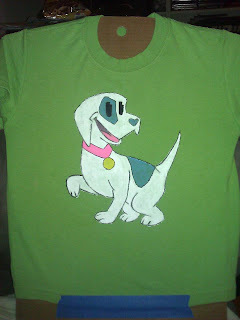 ** Customization: Collar can be made BLUE instead of PINK. Spots/Nose can be changed to BLACK, BROWN, RED-BROWN. No additional charge for alterations. I Heart Pibbles is a Tulsa, Oklahoma based group that is a "pitbull" advocate. We are currently raising money through fundraisers to donate to local and appropriate shelters and organizations. We highlight the joys of owning a Pibble that are often overlooked. 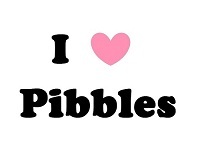 In the future, I Heart Pibbles will have its own facility to adopt out Pibbles and Pibble Cousins.